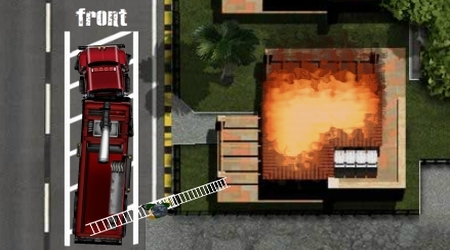 Use the Arrow Keys to control your truck and the ladder. The arrows that appear at the bottom of the screen will point you to your destinations: blue is for the water hydrant, yellow is for the gas station, and green is for the building that is on fire. 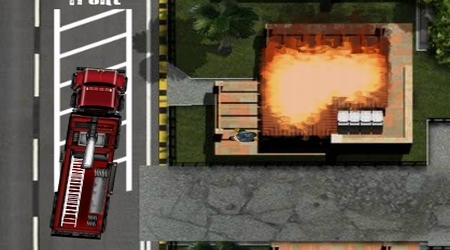 Click on the fire to use your water pump.